Click the image above to be taken to my 2 page PDF – make sure to click Duplex Printing in your Print Dialog Box! I suggest printing on double-sided photo paper for best outcome. When I was in high school I loved creating unique cards to hand out to my friends. Whether it was porcupines with toothpick quills or pipe cleaner flowers – it always felt like Valentine’s Day! Spreading joy is something I feel is very important. Seeing my friends’ eyes light up as I handed out handmade greetings brought ME joy! Last week I did a Seed Give-Away and I knew the winners deserved a smile! 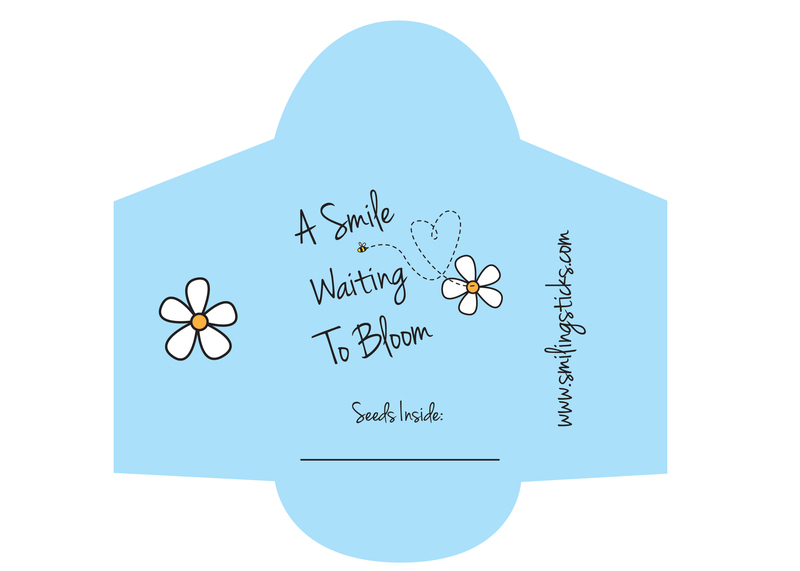 I designed these Seed Envelopes just for them, but decided to share them with all of you too! Simply click on the image below, download it, print on card stock, cut and fold, glue together, fill with seeds, and prepare to see your loved ones SMILE!